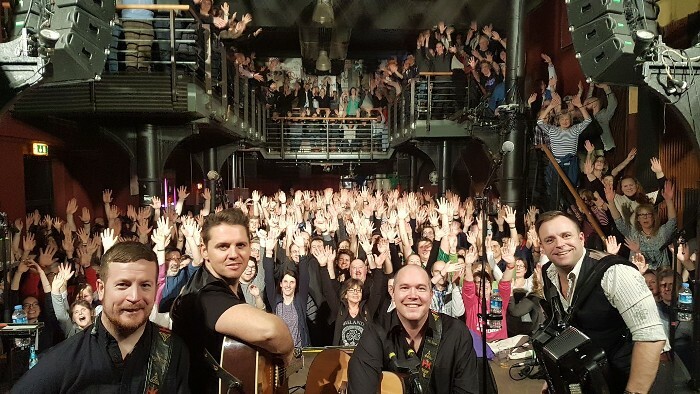 German fans are raising the roof on The High Kings 10th Anniversary Decade Tour in Germany over the last couple of weeks with shows in Hannover, Karslruhe, Cologne, Aschaffenburg, Munich, Essen, Oldenburg and Hamburg. We are looking forward to our final two shows in Berlin & Leipzig tonight and tomorrow, Tuesday 13th February. We will enjoy a brief stint at home before heading out on our US Tour. Full list of tour dates available here.